I'm staggered to discover that we Brits throw away £700 worth of food every year! I thought we had started to tackle the so called 'waste mountain' in this country. And all my attempts to help folk use up leftovers seem to have fallen on deaf ears. Overall, we consumers waste food worth £13 billion, leaving it to rot in the fridge or we simply throw it away when it has reached its sell-by-date or when we don't know what to do with leftovers. Look at what ends up in the bin - fresh vegetables (19%), drinks (17%), bakery (11%), ready-meals (10%), dairy and eggs (10%), fresh fruit (8%), meat and fish (7%) and other foods (18%). You can't tell me that we Brits don't know how to use-up leftover eggs, fresh fruit or anything else for that matter? Is it that we can't cook or are just lazy. 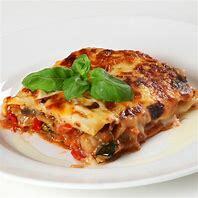 Have we heard of omelettes, cottage pies and bread and butter puddings and all the other 'leftover' dishes? Why not buy a mincer and mince-up all that leftover meat and fish and make a pie? We cleared out our fridge last week and made a chicken pie, that we ate last night, two jars of strawberry jam, a dozen bubble and squeak cakes from leftover vegetables and a cheese and potato pie from out of date cheese and soft potatoes. As for the stale bread, I grated it down to make breadcrumbs for future falafels or scotch eggs. The amount of food we dump appears to have risen to 7.3 million tons from 7 million three years earlier. That is 75Kg of waste per person in the UK. (That does NOT include me, where my food waste is non existent!). 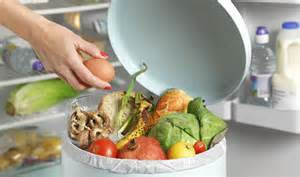 I'm sure that most of this waste is avoidable, such as bread which has gone mouldy or milk which has gone off. The Waste and Resources Action Programme (WRAP) reports that 1.3 million tonnes of food waste was 'partly avoidable' and includes items which only some people eat, such as bread crusts or potato skins. (Crusts make perfectly good breadcrumbs!) In 2015, families with children tipped away food worth the £700, while those without wasted £400 worth. 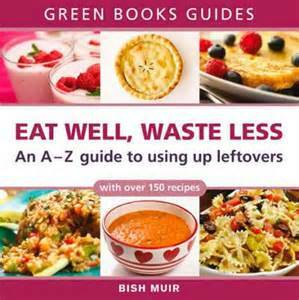 It's no surprise that the charity highlights a lack of cooking skills being behind our failure to reduce food waste. 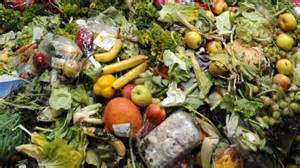 What's more, the amount of food wasted generates 19 million tonnes of greenhouse gases over its lifetime! So is it down to our laziness? Yes, in part, but also our failure to plan ahead and our unpredictable life style ,alongside our lack of kitchen skills. Hopefully as food prices rise, as a result of Brexit, we will tighten our belts more and achieve less waste, as we did after the UK recession. However, if the food industry did more to get us to change our buying habits then maybe food waste would be reduced. Are those two-for-one buys a good ideal, if eventually one of them is binned? What can you do to reduce your food waste in 2017?